EmbroidMe’s Latest Offer for T-shirts to Promote Your Business! 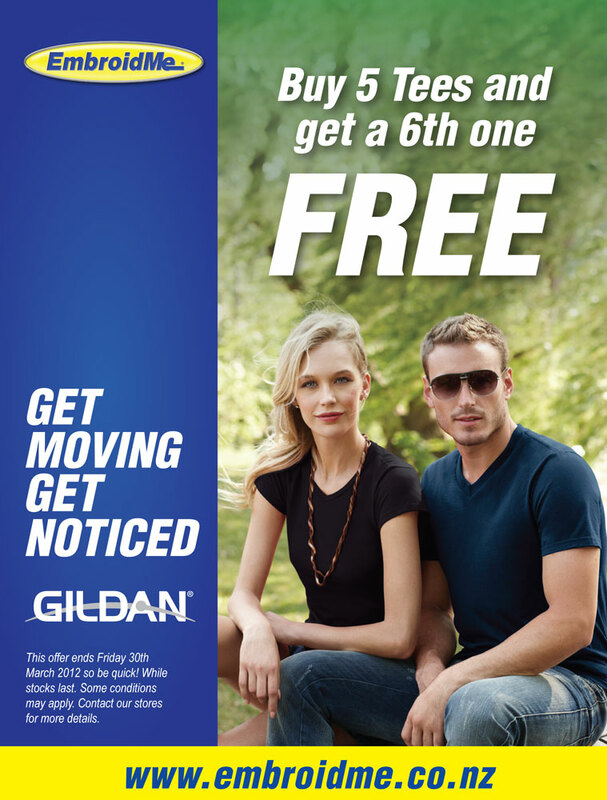 EmbroidMe Promotion – Buy 5 Tees and get a 6th one FREE. This offer ends Friday 30th March 2012. Some conditions may apply. Contact our EmbroidMe Showrooms for more details. FREE T-shirts – that’s right. Order 5 t-shirts and and we’ll give you one more for free, order 10 and we’ll give 2 more for free! Order 20 tees and you will get 4 more for FREE. Be quick as this offer is only valid from NOW until the end of March. Conditions may apply. To locate your nearest store, visit: www.embroidme.co.nz.